Make an impression with a sleek ‘do expertly held together with one of our quality hairsprays. Our collection of luxe haircare products is extensive and varied, so there is sure to be a hair care product for your gorgeous mane. Adore Beauty has all the best and most recommended hair styling brands, including Oribe, Kerastase and GHD. Protect your hair from heat damage with a specially formulated hair spray like Oribe Royal Blowout Heat Styling Spray or GHD’s Unplugged Heat Protect. Hairspray is a great choice to add some shine while keeping everything in place. Hair gels and waxes, and pomades can also leave your hair looking lustrous and shiny. If your hair gets oily, choose matte products like a texturizing spray, like Eleven Sea Salt Texture Spray. Protect your locks against damage from your hair irons and hair dryers with a heat protectant spray or get beachy waves with an enriching beach hair spray. Wash your hair using a quality shampoo and conditioner to remove excess product, cleanse and hydrate. 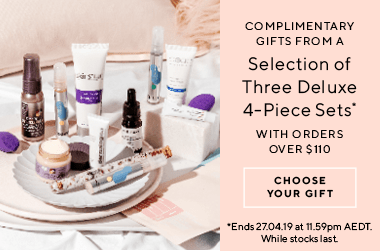 With free shipping, you can buy beautiful haircare, skincare and makeup and have it delivered to your door wherever you are in Australia. Afterpay is available, so you can order now and pay later. Works perfectly for me. Helps to hold hair but with movement and a more matte finish, thankfully! This stuff smells amazing - like coconuts! Yum. It makes it fun to use in the morning. I half-heartedly blow dry my hair and then spray this in and scrunch it through. The result is lightly toussled locks which look like I haven't tried but just have naturally awesome hair.